One of the best metroidvania games ever created, and a definitive Atari Lynx offering, Todd's Adventures in Slimeworld is just excellent. 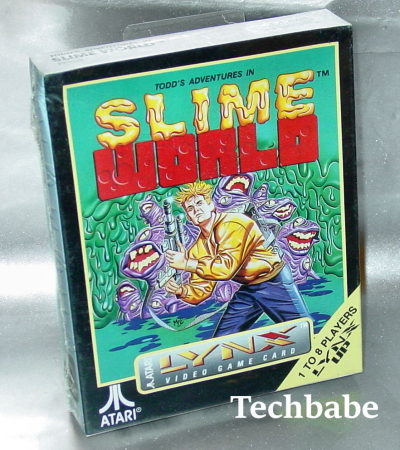 It's huge, expertly design, beautiful, engrossing, and obviously innovative, and you can grab your very own copy via this Todd's Adventures in Slimeworld (Atari Lynx) eBay auction. The game comes complete in its sealed box. Seller ships only to Canada and the US.